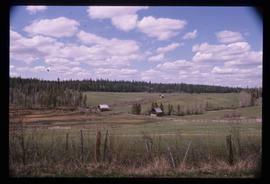 Image depicts a view of the property at 153 Mile House, near Quesnel, B.C. 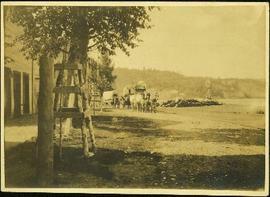 Photograph depicts a group of men and dogs standing outdoors in the sunshine. 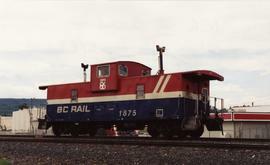 Photograph depicts a caboose that carried Expo 86 (Vancouver) markings. 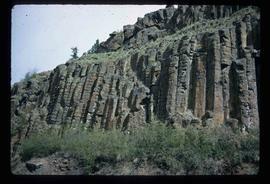 Image depicts a basalt landform somewhere in or near Quesnel, B.C. 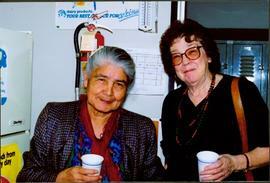 Photograph depicts Mary John and Bridget Moran holding paper cups in kitchen area, lockers visible through door in background (Moran on right). 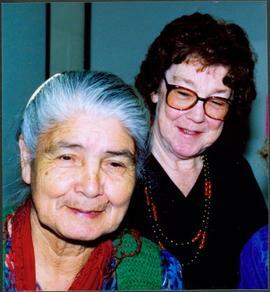 Accompanying photo caption: "Caribou College, Quesnel, March /92". Photograph depicts Bridget Moran standing behind Mary John in unknown room. 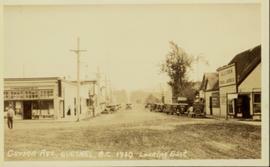 Unidentified woman semi-visible on far right (see item 2008.3.1.19.2). 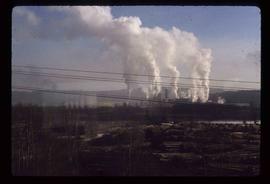 Accompanying photo caption: "Caribou College, Quesnel, March /92". 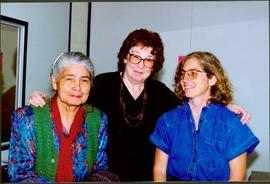 Photograph depicts Bridget Moran standing between Mary John (on left) and unidentified woman. 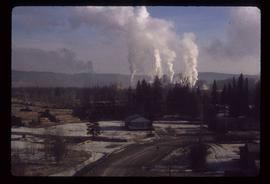 Accompanying photo caption: "Caribou College, Quesnel, March /92". 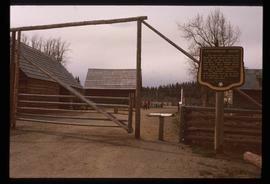 Image depicts the picnic site of the Cottonwood House Historic Site, located on the Barkerville Highway, east of Quesnel, B.C. 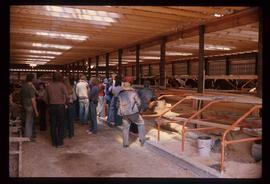 Image depicts the interior of a barn at a dairy farm located somewhere near Quesnel, B.C. 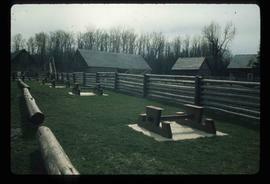 Numerous unknown individuals are present. 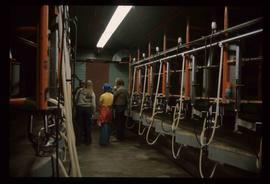 Image depicts numerous pieces of machinery in the interior of a building at a dairy farm, located somewhere near Quesnel, B.C. Several unknown individuals are present. 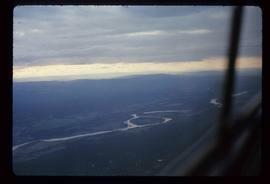 Image depicts an aerial view of Diamond Island, near Quesnel, B.C. 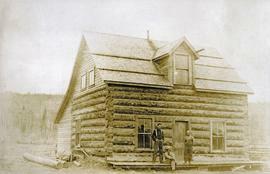 Photograph depicts three men standing and sitting on a porch deck in front of a log house, trees in the background. 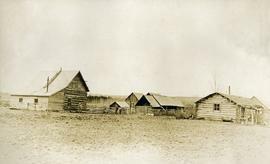 Photograph depicts a cluster of log buildings with fences and corrals. 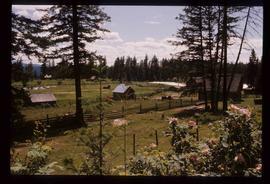 A field in the foreground, trees and low hills in the distance. 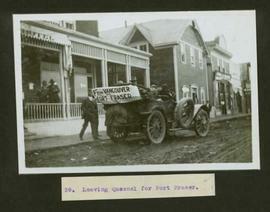 On the road from Quesnell to Fraser Lake 1911. 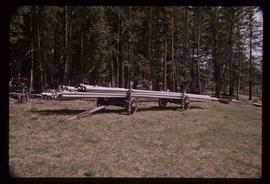 Image depicts a pile of irrigation pipes on a dairy farm somewhere near Quesnel, B.C. 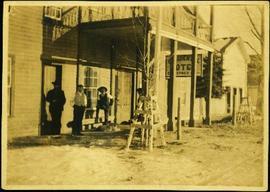 Photograph depicts a group of men standing near a building with the sign, "James Reid Ltd. General Merchants". 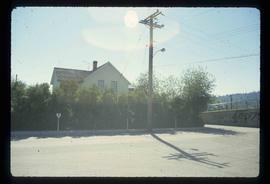 There are a few fences and buildings in the background. 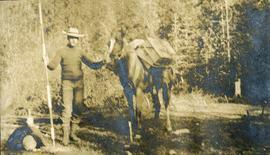 Photograph depicts man (presumably A.H. Holland) with survey pole standing next to loaded pack horse. 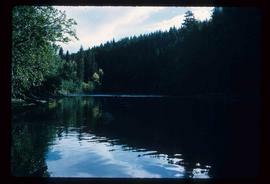 File contains slides depicting landforms at various locations. 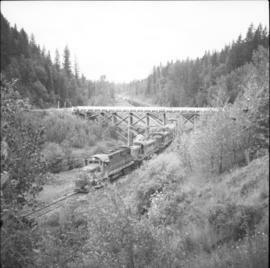 Photograph depicts a down freight of 75 cars passing under the Quesnel to Barkerville road about 4 miles out of Quesnel. 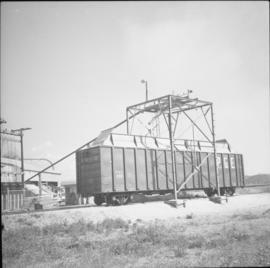 Photograph depicts a chip car #9581 loading at a sawmill on the northern outskirts of Quesnel. 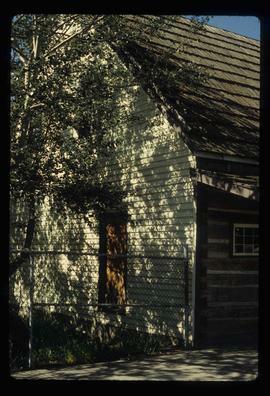 Photograph taken at the Pacific Great Eastern depot in Quesnel. 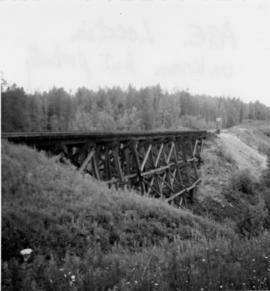 Photograph location is unknown, but Davies stated it to be possibly somewhere north of Quesnel. 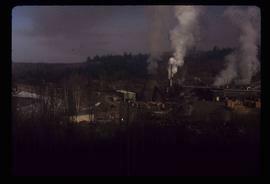 A bridge is visible. 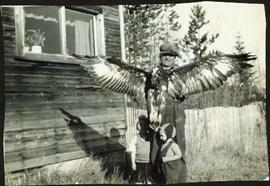 File contains postcard photographs portraying life in various Northern BC Communities. 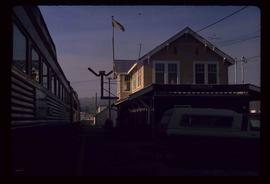 Images depict buildings and streets, church structures, harbours and docks, and views of the shore from the water to name a few. 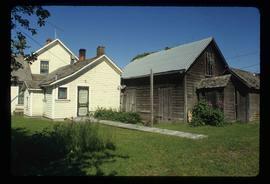 Image depicts the Bohanon House in Quesnel, B.C. 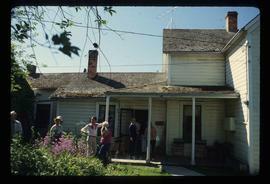 Image depicts numerous unknown individuals at the Bohanon House in Quesnel, B.C. 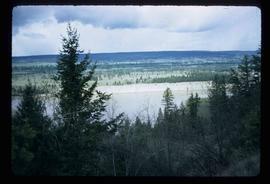 Image depicts the Fraser River from Highway 97 near Quesnel, B.C. 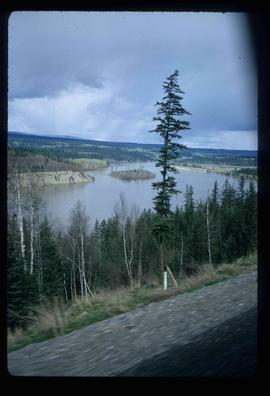 Image possibly depicts the Fraser River from Highway 97 near Quesnel, B.C. 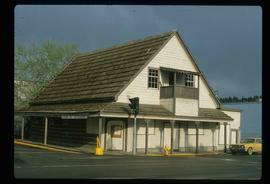 Image depicts the Hudson Bay store in Quesnel, B.C. 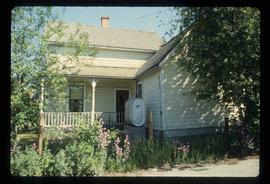 It was built in 1859. 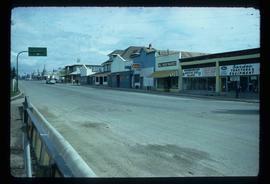 Image depicts the Hudson Bay Store in Quesnel, B.C. 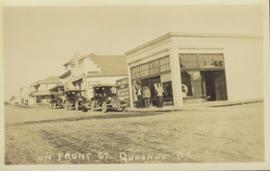 Image depicts the original main street of Quesnel, B.C. 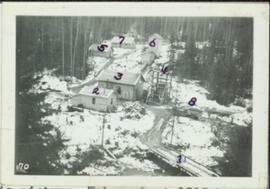 Image depicts a saw mill somewhere in Quesnel, B.C. 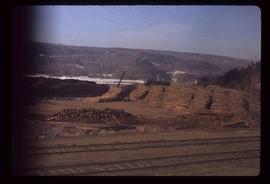 Image depicts numerous wood piles near the sawmill somewhere in Quesnel, B.C. 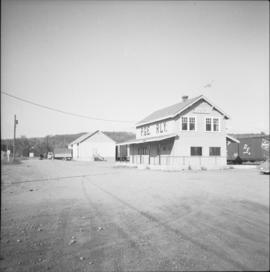 Image depicts the train station in Quesnel, B.C.